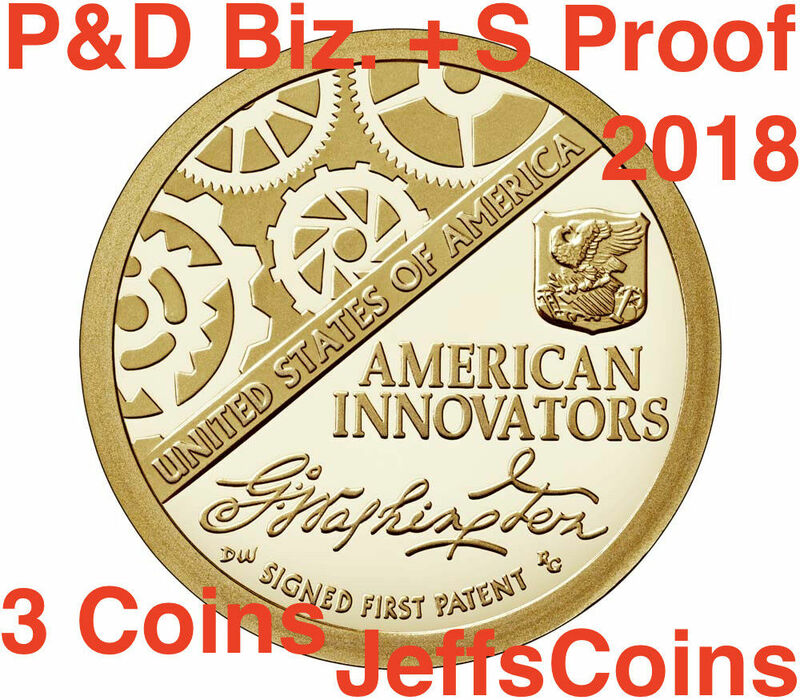 Seller: jeffscoins (60,546) 99%, Location: Scottsdale, Arizona, Ships to: US, Item: 293012253760 This in-stock auction listing is for the 1st Newly issued 2018 P D American Innovation Dollar coin from the US Mint. 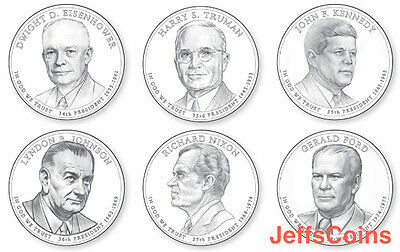 They are brilliant and uncirculated P Mint D Mint Strike. 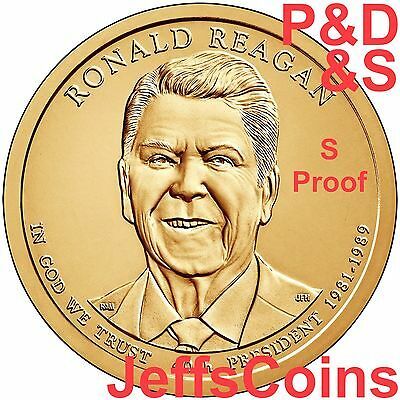 From this premium 2 coin listing, we ship the best looking PD, we take the time and expense to support a selection process that reviews each coin. As seen on the reverse, George Washington signed this one :-) With such a large open obverse field, the S proof is only coin without scratches. We are discarding the worst of the business strikes (more than 10 scratches or deep gashes under 2x magnification) at a rate of 55% of P mints and 25% of D mints with this issue. 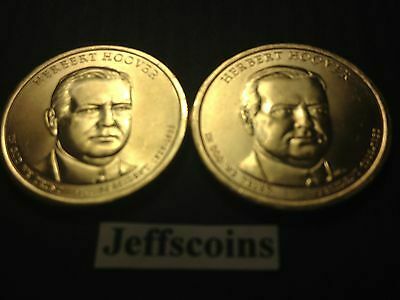 Bid high on our listings if you want only better collector coins. 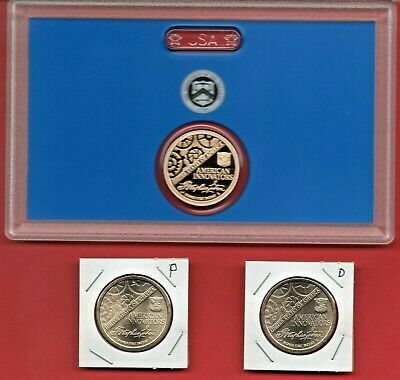 You should not expect perfect business strike coins, they are 1 in 25 with this issue, especially the scratchy P Mints. 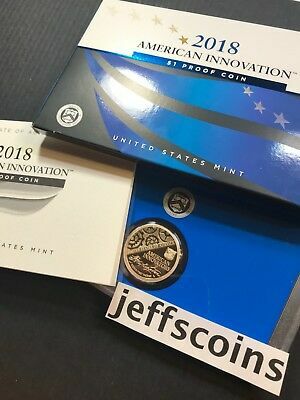 More than half of the P Mint do not meet our standards for this listing. See our other listings for lower cost batches of 2nds which do not meet our 1st grade collector standards (we have a lot of them set aside for a bulk sale). Feedback on the better innovation dollars we ship to you:Fantastic lot!!! Fantastic seller!! Would buy from anytime! Thank you so much!! !wal....br ( 2956) During past month 2018 P D American Innovation Golden Dollars 2 Best Grade $1 Coins PD US Mint NEW (#273666624709)I LIKE THE COINS ALOT! COOL! THANKS!mr.....21 ( 2648) During past month 2018 P D American Innovation Golden Dollars 2 Best Grade $1 Coins PD US 2019 UNC (#283295044392)As described. Quick shipment. Beautiful coins. 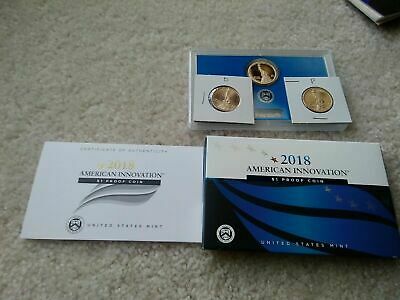 Thank you.ah....ue ( 1727) During past month 2018 P D S American Innovation Dollars Golden Proof + Box & COA 3 Coins PDS 18ga (#273618820965) View ItemGreat coins. fast shipping, highly recommended. Thanks. AAAAA+++++fill....wk ( 597) During past month 2018 P D American Innovation Golden Dollars 2 Best Grade $1 Coins PD US 2019 UNC (#283295044392) You will receive 2 coins as in images 1 to 3 only: √ Philadelphia Mint Innovation dollar√ Denver Mint Innovation dollar The $1 coins are sent to you together, for 2 different business strikes, P&D coins. The Mints release date for these two business strike coins had a US Mint release on December 14, 2018. Your coins will ship within days of your PayPal payment per ebay guidelines. 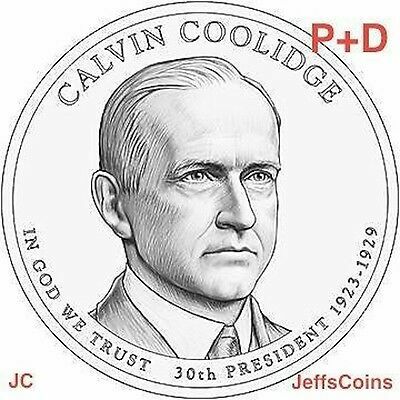 If you appreciate the added information (we bring to the community) about the details of these modern coins, please help support our efforts by purchasing the better collector grade coins from our listings. Even if they are a few cents more or less we hope you will find it worth it and tell others. 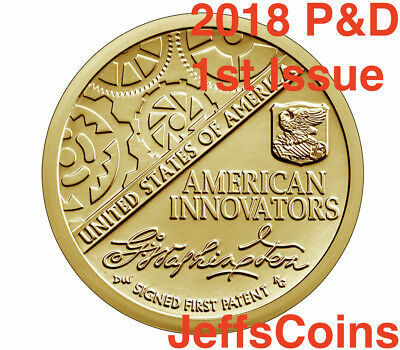 Bid above and then click blue letters below to consider buying the first San Francisco issued Proof issue also:Check it out2018 P D S American Innovation Golden Proof Dollar 3 Best Grade Coins PDS R 2019 Bid above and to also make sure you win the P&D coins, you can use our "buy it now" link just below:Click blue letters to Check it out2018 P D American Innovation Golden Dollars 2 Best Grade $1 Coins PD US 2019 UNC About This New $1 Program $1 coin products introducing the United States Mint American Innovation™ $1 Coin Program. The new 15-year initiative honors innovators and innovations from each state, the District of Columbia, and the five U. S. territories—Puerto Rico, Guam, American Samoa, the U.S. Virgin Islands, and the Commonwealth of the Northern Mariana Islands. The United States Mint American Innovation $1 Coin Program will run from 2018 through 2032.The 2018 United States Mint American Innovation™ $1 Proof Coin is being produced at the Mint’s San Francisco facility. Like all proof coins, it has sharp relief with a mirror-like background. 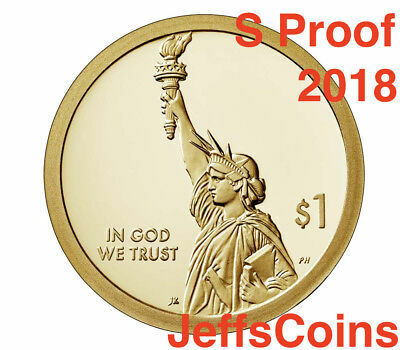 If you also want the S Mint, see our PDS or S only listing link above, S Proof is not included on this listing P&D mints only.The obverse (heads) of the 2018 American Innovation $1 Introductory Coin features a dramatic representation of the Statue of Liberty in profile with the inscriptions “IN GOD WE TRUST” and “$1.” This design will be appear on all coins issued under the United States Mint American Innovation $1 Coin Program.The reverse (tails) the 2018 American Innovation $1 Introductory Coin features George Washington’s signature and the inscriptions “UNITED STATES OF AMERICA” and “AMERICAN INNOVATORS.” The stylized gears represent industry and innovation. 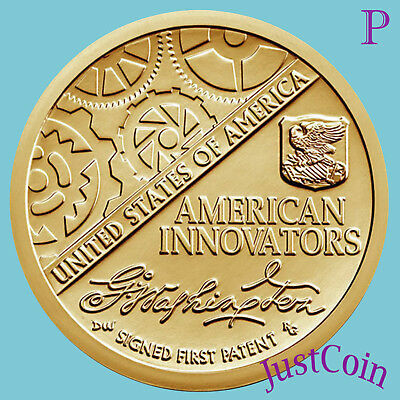 The design also includes the inscription “SIGNED FIRST PATENT” under Washington’s signature. 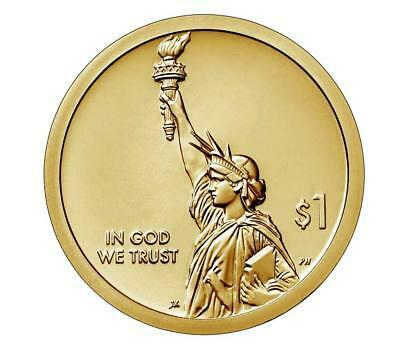 The year of minting, the mint mark, and “E PLURIBUS UNUM” are incused on the edge of the coin. 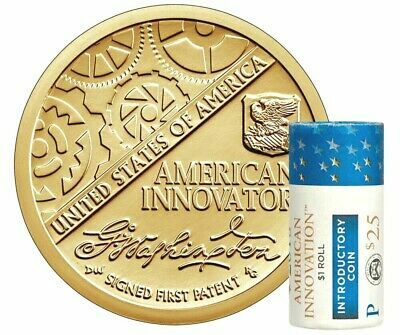 The introductory products include 18gra 18gre 18gba 18gbe 18ga: About the Ongoing 15 Year ProgramThe United States Mint American Innovation $1 Coin Program is a multi-year series to honor innovation and innovators by issuing $1 coins for each of the 50 states, the District of Columbia and the five U. S. territories – Puerto Rico, Guam, American Samoa, the U.S. Virgin Islands, and the Northern Mariana Islands.Four new $1 coins with distinctive reverse designs will be released each year from 2019 through 2032 in the order the states ratified the Constitution of the United States or were admitted to the Union. Once a coin is issued for each state, coins will be released for the District of Columbia and the territories.Coin DesignThe common obverse (heads side) of all the coins in this series features a dramatic representation of the Statue of Liberty and the required inscriptions “$1,” and “IN GOD WE TRUST.”The reverse (tails side) design features an image or images emblematic of a significant innovation, an innovator, or group of innovators from one of the 50 states, the District of Columbia, or the territories; the name of the state, the District of Columbia, or territory, as applicable; and the required inscription “United States of America.”Coins in this series will display the year of minting or issuance, the mint mark, and “E PLURIBUS UNUM” on the edge of the coins.2018 CoinA special American Innovation $1 Coin will be minted and issued in 2018 to introduce this new series. The obverse of the coin features the same common obverse design as all the other coins in the series. The reverse design features a representation of President George Washington’s signature on the first-ever U.S. patent issued on July 31, 1790. – CollapseAmerican Innovation and Innovators 2018 to 2032 $1 Coins by State2018 Introductory Coin (this listing)2019 Delaware Pennsylvania New Jersey Georgia2020 Connecticut Massachusetts Maryland South Carolina2021 New Hampshire Virginia New York North Carolina2022 Rhode Island Vermont Kentucky Tennessee2023 Ohio Louisiana Indiana Mississippi2024 Illinois Alabama Maine Missouri2025 Arkansas Michigan Florida Texas2026 Iowa Wisconsin California Minnesota2027 Oregon Kansas West Virginia Nevada2028 Nebraska Colorado North Dakota South Dakota2029 Montana Washington Idaho Wyoming2030 Utah Oklahoma New Mexico Arizona2031 Alaska Hawaii District of Columbia Puerto Rico2032 Guam American Samoa U.S. Virgin Islands Northern Mariana Islands American Innovation™ $1 Coin ProgramThe new American Innovation $1 Coin Program from the United States Mint symbolizes quintessentially American traits—the willingness to explore, to discover, and to create one’s own destiny. 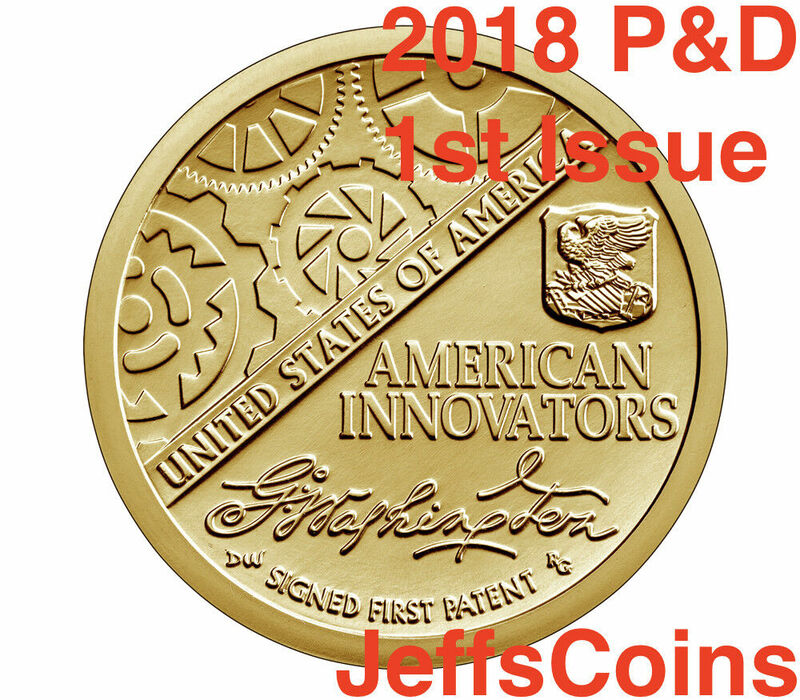 The program showcases an innovation, innovator or group of innovators from each State or Territory in beautiful uncirculated and proof finishes. This new series is perfect to share with experienced numismatists, as well as a wonderful opportunity to spark a new love of coin-collecting and American history. Start your collection now and buy one for a younger person or someone else, see if you can collect them all starting now. 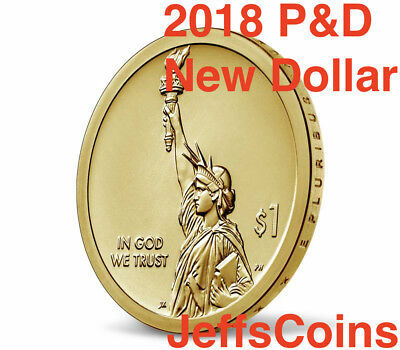 Optionally or in addition the S proof coin can be shipped together as a 3 coin PDS golden dollar set: Click to Check it out2018 P D S American Innovation Golden Proof Dollar 3 Best Grade Coins PDS R 2019 _____________________________________________ Add the New dollar above to your ebay cart then return for blue letter links below. Links to other golden $1 coin images seen in the gallery for comparison/reference only, as in optional, not included :-) 2018 PDS SACAGAWEA NATIVE AMERICAN JIM THORPE WA-THO- HUK + Proof Dollar P D S Buy the above PDS coins then "Link To Buy" Previous S Proof $1 Presidential and Sacagawea issues or the S Proofs only, click below: 2016 S Ronald Reagan Presidential Golden Proof Dollar Best Grade Coin 16P3 16PV Check it out2016 S W Ronald Reagan President Coin & Chronicles Set Reverse 16PA Silver Eagle Also to improve your collections, please add this item to your cart and then buy more than 1 coin issue to help complete your album. If you would be so kind, the "one coin set price" is at the minimum ebay seller fee expenses and then seller's minimum PayPal fees also are subtracted. 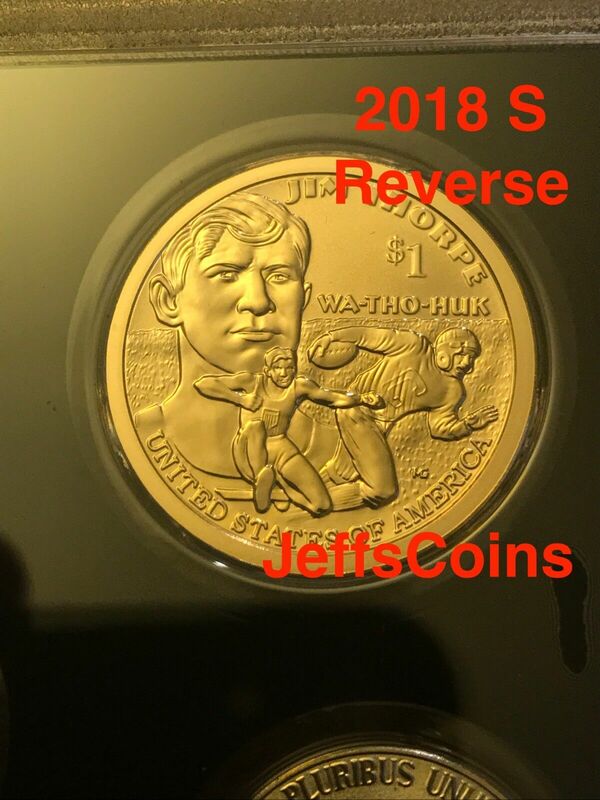 Buying 2 coin sets or more in quantity or adding other coin issues and making one ebay cart check out will help us both. 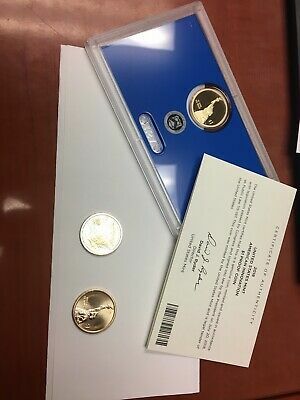 You can click the link below to purchase the 2016 Philadelphia, Denver and San Francisco Mint issues as a special 9 coin set:2016 P D S Nixon Ford Reagan Presidential Dollars Set 9 Coins PDS These US Mint coins (P&D&S mints) feature the inscriptions IN GOD WE TRUST, 40th PRESIDENT and 1981 - 1989. The Mints release date for the S Proof Ronald Reagan (part of this PDS set) was February 16, 2016. We have started shipping our pre-sale proof only orders so buy now for first deliveries of the PDS sets. Please refer to this listing for all questions. Sorry but because of the low cost and extra time already spent, we can not respond to emails about questions already answered on this listing. 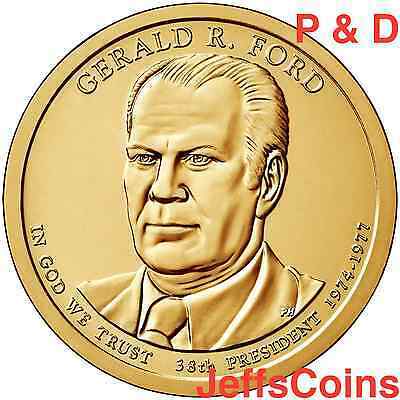 Thank you for buying more than one coin, or adding our PDS listing by first using the "add to cart button" for this listing then adding other Mint coin issues ( like our PDS of Johnson which includes the S proof- item 271940970638 or Eisenhower Chronicles Set 281754155749 ) and make one combined PayPal checkout/payment. 40th President of the United StatesRonald Wilson Reagan (February 6, 1911 to June 5, 2004) was an American politician and actor, who served as the 40th President of the United States from 1981 to 1989. Prior to his presidency, he served as the 33rd Governor of California from 1967 to 1975, following a career as a Hollywood actor and union leader.Raised in a poor family in small towns of Northern Illinois, Ronald Reagan graduated from Eureka College in 1932 and worked as a sports announcer on several regional radio stations. After moving to Hollywood in 1937, he became an actor and starred in a few major productions. Reagan was twice elected as President of the Screen Actors Guild, the labor union for actors, where he worked to root out Communist influence. In the 1950s, he moved into television and was a motivational speaker at General Electric factories. Having been a lifelong liberal Democrat, his views changed. He became a conservative and in 1962 switched to the Republican Party. In 1964, Reagan's speech, "A Time for Choosing," in support of Barry Goldwater's floundering presidential campaign, earned him national attention as a new conservative spokesman. Building a network of supporters, he was elected Governor of California in 1966. As governor, Reagan raised taxes, turned a state budget deficit to a surplus, challenged the protesters at the University of California, ordered National Guard troops in during a period of protest movements in 1969, and was re-elected in 1970. He twice ran unsuccessfully for the Republican nominations in 1968 and 1976; four years later, he easily won the nomination outright, going on to be elected the oldest President, defeating incumbent Jimmy Carter in 1980.Entering the presidency in 1981, Reagan implemented sweeping new political and economic initiatives. His supply-side economic policies, dubbed "Reaganomics," advocated tax rate reduction to spur economic growth, control of the money supply to curb inflation, economic deregulation, and reduction in government spending. In his first term he survived an assassination attempt, escalated the War on Drugs, and fought public-sector labor. Over his two terms, his economic policies saw a reduction of inflation from 12.5% to 4.4%, and an average annual growth of real GDP of 3.44%; while Reagan did enact cuts in domestic discretionary spending, increased military spending contributed to increased federal outlays overall, even after adjustment for inflation. During his reelection bid, Reagan campaigned on the notion that it was "Morning in America," winning a landslide in 1984 with the largest electoral college victory in history. Foreign affairs dominated his second term, including ending of the Cold War, the bombing of Libya, and the Iran Contra affair. Publicly describing the Soviet Union as an "evil empire," he transitioned Cold War policy from dÃ©tente to rollback, by escalating anarms race with the USSR while engaging in talks with Soviet General Secretary Mikhail Gorbachev, which culminated in the INF Treaty, shrinking both countries' nuclear arsenals. During his famous speech at the Brandenburg Gate, President Reagan challenged Soviet leader Mikhail Gorbachev to "tear down this wall!" One and a half years after the end of his term, the Berlin Wall fell and on December 26, 1991, nearly three years after he left office, the Soviet Union collapsed.Leaving office in 1989, Reagan held an approval rating of sixty-eight percent, matching those of Franklin D. Roosevelt, and later Bill Clinton, as the highest ratings for departing presidents in the modern era. While having planned an active post-presidency, in 1994 Reagan disclosed his diagnosis with Alzheimer's disease earlier that year, appearing publicly for the last time at the funeral of Richard Nixon; he died ten years later at the age of 93. An icon among Republicans, he ranks favorably in public and critical opinion of U.S. Presidents, and his tenure constituted a realignment toward conservative policies in the United States. Source WIKI. WASHINGTON - The United States Mint (Mint) officially announced the designs that will appear on the 2016 Presidential $1 Coins honoring former Presidents Richard M. Nixon and Gerald R. Ford (and now Ronald Reagan).The coins' obverses (heads side) were designed and sculpted by the following talented United States Mint Sculptor-Engravers:Richard M. NixonObverse Designer and Sculptor: United States Mint Sculptor-Engraver Don EverhartGerald R. FordObverse Designer and Sculptor: United States Mint Sculptor-Engraver Phebe HemphillInscriptions on the obverse of each coin include the president's name, term in office, the order in which he served, and "IN GOD WE TRUST. 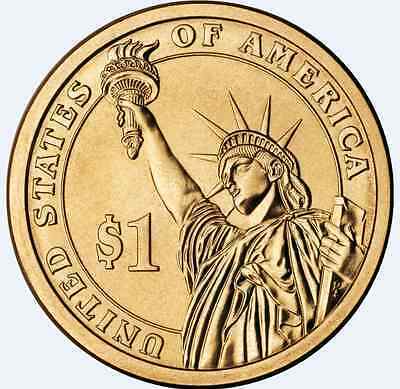 "The coins' reverses (tails side) feature a rendition of the Statue of Liberty, also designed and sculpted by Everhart. Inscriptions on the reverse are "$1" and "UNITED STATES OF AMERICA." The year of minting or issuance, the mint mark, and "E PLURIBUS UNUM" are incused on the edge of the coins.Legislated by Public Law 109-145, the Presidential $1 Coin Program was limited to deceased presidents with the provision that there is at least a two-year period following the date of the death of the President before a coin can be issued. Hence, President Jimmy Carter, who is still living, is ineligible for a Presidential $1 Coin in 2016. 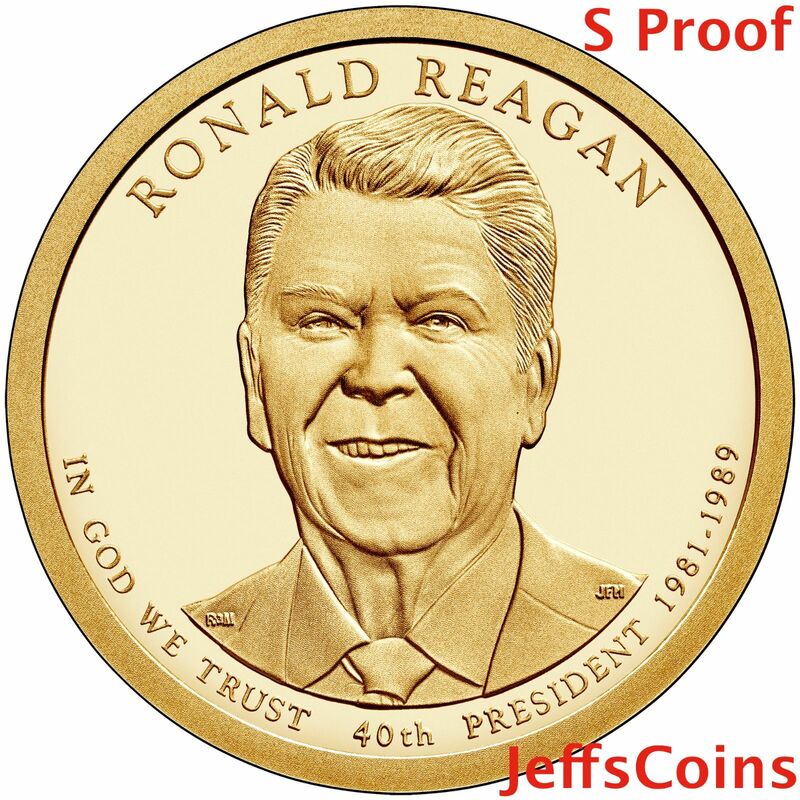 President Reagan, the next president to serve after Carter, passed away in 2004 but an exception was now made to make him eligible to be commemorated under paragraph (2)(E).Designs for the Ronald Reagan Presidential $1 Coin and the corresponding Nancy Reagan First Spouse Gold Coin were announced on Feb. 6, 2016, the 105th anniversary of President Reagan's birth.The release of the Ronald Reagan Presidential $1 Coin will mark the end of the program honoring our Nation's presidents. Launched in 2007, the Presidential $1 Coin Program features coins with bold, dramatic portraits, unique edge-lettered inscriptions and a common reverse design of the iconic Statue of Liberty. 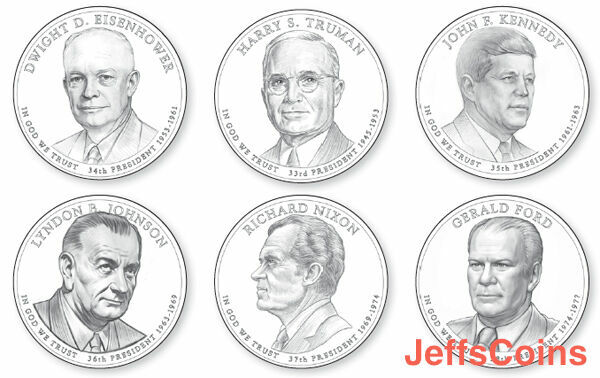 Since the beginning of the program, the Mint has issued four coins annually in the order in which the presidents served in office, with three coins released in 2016. 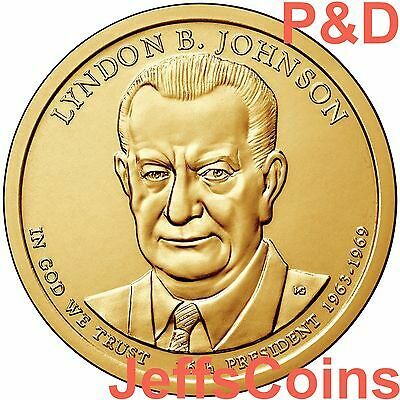 Also click to see and add our other listing for Johnson to your cart: 2015 P D S Lyndon B Johnson President Golden Dollar U.S.MINT PDS Proof Set 3 LBJBuy It NowFree shipping 2015 Lyndon B. Johnson Thank you everyone that just bought Johnson and Kennedy dollars from us and we hope you enjoyed the great coins we sent and the random fun old stamps :-) Look for some special old Johnson stamps used on some buyers random mailings for this LBJ issue. These business strike coins will have some roll or bag marks just as they come from the Mint. We review all the coins and remove the worst ones (especially the inferior Philadelphia Mints compared to Denver mints). 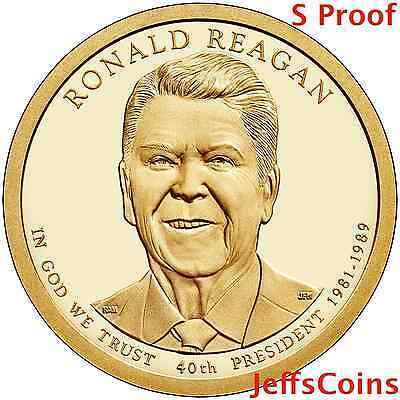 If you prefer perfect coins please see our proof listings. Many of our customers buy more than one set and keep the best two then give the others as gifts to young collectors. The Mint release date for this coin was August 18, 2015. 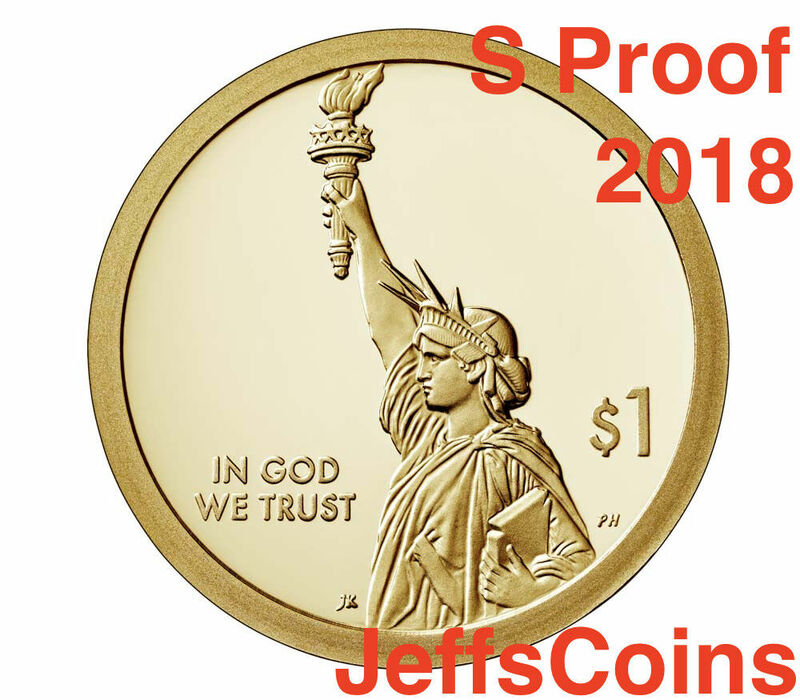 Jeffs Coins started first pre-sale shipments on the Mint's release date. If you buy just 1 set of our P&D dollar issues in the quantity on our other listings, your price is below our cost after adding the $2 face value of the coins (they cost us more than that + about 40% of the P Mints we buy can not be used due to excessive gouges and stains) + $1.71 in seller fees (ebay fees 35¢, PayPal fees of 40¢ each time and mailing costs 96¢ minimum) = $3.71 + actual cost of coins bought, order processing time and supplies. Now you can see we are offering this near our cost price trusting you will order more than one set or add some other items to your cart, please :-) Lyndon B. Johnson: 36th President (1963 - 1969) Obverse2015 Lyndon B. Johnson Presidential $1 Uncirculated Coin Lyndon Baines Johnson was born August 27, 1908, in central Texas. He graduated from Southwest Texas State Teachers College (now Texas State University-San Marcos). Johnson successfully campaigned for the U.S. House of Representatives in 1937 where he served six years before moving on to serve 12 years in the U.S. Senate. Johnson became the nations 37th vice president in 1961. He had held that office for less than three years, when John F. Kennedy's assassination thrust him into the presidency. During a joint session of Congress to present his plans for leading the nation after Kennedy's death, he said, â€œAll that I have I would have given gladly not to be standing here today. During his administration, President Johnson promoted his vision of The Great Society and tackled issues such as poverty, inequality in education, voting rights and conservation. However, it was the conflict between North and South Vietnam that took center stage both at home and abroad. Additional highlights of Johnson's presidency include: Passage of the Civil Rights Act of 1964, the Voting Rights Act of 1965, and the Open Housing Act of 1968Passage of legislation creating the National Endowments for the Arts and Humanities and the National Endowment for the HumanitiesPassage of the Highway Safety ActPassage of the Public Broadcasting ActPassage of Social Security Act 1965, which created the Medicare and Medicaid programsApollo 8, the first manned spacecraft to orbit the moonCoinage legislation enacted during presidency:Coinage Act of 1965: Amended the act of 1792, eliminated silver from the dime, and quarter and substantially reducing the amount of silver in the half-dollar.Source: U.S.Mint lj1 lj2 lj3 lj4 lj5 lj6We also have a convenient listing for automatic shipment of all 6 remaining P&D coins to the end of the 2016 Presidential program including 2016 Native American Golden Dollars: Easy Low Cost "Buy It Now" Offer Links Click To See2016 P&D Presidential Sacagawea Dollar Nixon FordReagan to end an 8 Coin Set2015 P D Presidential Dollars Complete SetsHarding to LBJ an 8 Coin Set2015 John F Kennedy Coin & Chronicles Set Reverse ProofPPDS Mints including Standard S Proof, Denver and PhiladelphiaAll 2014 P D Presidential Dollars & Sacagawea Harding to FDR 10 Coin Set2014 P D Presidential Dollars Harding Coolidge HooverRoosevelt 8 Coin SetVisit my eBay Store:jeffscoins From our other P&D sets, you will receive the Denver and Philadelphia mint marks from 1st release dollar coin rolls. Order now from our links and these 2 dollar coins will ship to you in "mint condition" just as they are from the US Mint (not perfect). Two sets or more may ship in flips, a paper roll or protective mailer so please buy more than one set to help us both get the most for the ebay, PayPal and postage costs on each order. 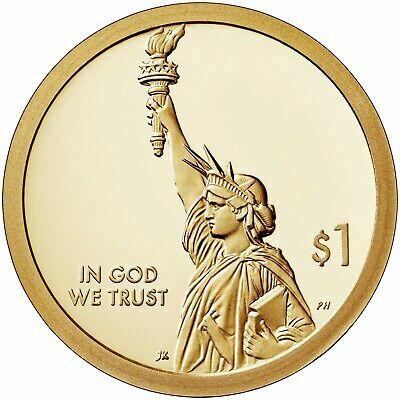 These newer dollar coins are no longer available from banks ~ that is why they are harder to find. Get them as soon as they are released in a more economical way, with very little effort on your part and receive faster than ever. We can help keep your collection going or start a young person to learn about our presidents by buying extra sets as gifts. We are allowed to distribute each new State Park quarter and Golden dollar issue on the Mint release day, we quickly ship them as P&D sets to our collector customers. Select our other listings if interested in any other years P or D mint of Presidential dollars from US Mint Rolls or Proof issues see below or in the gallery. These are not included but show upcoming releases and proof issues that are available now. We have just bought another collection of older rolls. We also supply rolls or other requests for future hard to find mint only releases on a monthly basis. 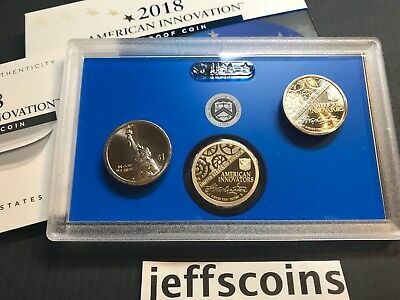 This gang of 4 presidents for 2013 (above) are also available from our ebay store in Proof or business strike or both, use Wilson link below. Please view our other listings in which we have all the 2010 - 2019 State Park Quarters and Stamp & Cancelled US Mint Rolls of 2010 2011 2012 2013 2014 2015 2016 2017 2018 and 2019 State Park Quarters.2015 S Mint Proof Presidential Golden Dollars2015 S Proof Harry S. Truman2015 S Proof Dwight D. Eisenhower2015 S Proof John F Kennedy 2015 S Proof Lyndon B. Johnson2015 S Presidential Dollar 4 Coins US Mint PROOF SetVisit my eBay Store:jeffscoins 2014 S Mint Proof Presidential Golden Dollars2014 S Proof WARREN HARDING2014 S Proof HERBER HOOVER2014 S Proof FRANKLIN ROOSEVELT2014 S Proof CALVIN COOLIDGE2014 S Presidential Dollar 4 Coins US Mint PROOF SetVisit my eBay Store:jeffscoins Add to your cart2018 S Mint REVERSE Proof Coins Early Release2018 S REVERSE Proof Lincoln Cent2018 S REVERSE Proof Nickel2018 S REVERSE Proof Dime2018 S REVERSE Proof Kennedy Half Dollar2018 S REVERSE Proof Sacagawea Golden Dollar2018 S REVERSE Proof Pictured Rocks National Park SILVER QUARTER2018 S REVERSE Proof Apostle Island National Park SILVER QUARTER2018 S REVERSE Proof Voyageurs Island National Park SILVER QUARTER2018 S REVERSE Proof Cumberland Island National Seashore Park SILVER Quarter2018 S REVERSE Proof Block Island National Seashore Park SILVER QuarterVisit my eBay Store:jeffscoins 2018 S Mint Proof Coins Early Release2018 S Lincoln Shield Cent 2018 S Jefferson Nickel2018 S Mint Clad Proof Dime Roosevelt2018 P&D&S Pictured Rocks National Lakeshore Park Quarter 2018 S Kennedy Half Dollar Clad Proof2018 PDS SACAGAWEA NATIVE AMERICAN JIM THORPE WA-THO- HUK 2017 2016 2015 2014 S Mint Proof Coins 2017 S Proof Lincoln Shield Penny 2017 S Proof Nickel2017 S Proof Clad Dime2017 S Proof Clad Quarter Shawnee National Forest2017 S Proof Clad Kennedy Half Dollar2017 S Proof Sacagawea Dollar 2016 S Proof Lincoln Shield Penny 2016 S Proof Nickel2016 S Proof Dime2016 S Proof Quarter Shawnee National Forest2016 S Proof Sacagawea Dollar2016 S Proof Kennedy Half Dollar 2015 S Proof Nickel2015 S Proof Dime2015 S Proof Quarter Homestead Nebraska2015 S Proof Kennedy Half Dollar2015 S Proof Lincoln Shield Penny2015 S Proof SARATOGA National Historical Park QUARTER New York2014 S Proof ARCHES National Park QUARTER Utah2014 S Proof GREAT SAND DUNES National Park QUARTER Colorado2014 S Proof EVERGLADES National Park Quarter Florida2015 S Silver Proof Complete Quarter SetVisit my eBay Store:jeffscoins 2014 S Mint Proof Coins Early Release2014 S Proof Nickel2014 S Proof Dime2014 S Proof Quarter Great Smoky Mountains2014 S Proof Kennedy Half Dollar2014 S Proof Lincoln Shield Penny2014 S Proof SHENANDOAH National Park QUARTER Virginia2014 S Proof ARCHES National Park QUARTER Utah2014 S Proof GREAT SAND DUNES National Park QUARTER CO2014 S Proof EVERGLADES National Park Quarter Florida2014 S Proof Warren Harding Presidential Golden DollarVisit my eBay Store:jeffscoins The Wilson "Proof" Dollar is also availablePresidential $1 Coin Annual Release ScheduleRelease Year PresidentYears Served20071George Washington1789-17972John Adams1797-18013Thomas Jefferson1801-18094James Madison1809-1817 20085James Monroe1817-18256John Quincy Adams1825-18297Andrew Jackson1829-18378Martin Van Buren1837-1841 20099William Henry Harrison184110John Tyler1841-184511James K. Polk1845-184912Zachary Taylor1849-1850 201013Millard Fillmore1850-185314Franklin Pierce1853-185715James Buchanan1857-186116Abraham Lincoln1861-1865 201117Andrew Johnson1865-186918Ulysses S. Grant1869-187719Rutherford B. Hayes1877-188120James Garfield1881 201221Chester A. Arthur1881-188522Grover Cleveland (1st term)1885-188923Benjamin Harrison1889-1893 Red= See our other listings24Grover Cleveland (2nd term)1893-1897 201325William McKinley1897-1901 Red= See our other listings26Theodore Roosevelt1901-190927William Howard Taft1909-191328Woodrow Wilson1913-1921 201429Warren Harding1921-1923 Red= See our other listings30Calvin Coolidge1923-1929 31Herbert Hoover1929-1933 32Franklin D. Roosevelt1933-1945 201533Harry S. Truman1945-1953 34Dwight D. Eisenhower1953-1961 35John F. Kennedy1961-1963 Shipping as of the June, 2015 MINT release date or also see our "set to end of program" listing above36Lyndon B. Johnson1963-1969 This listing is now shipping as of the August 18, 2015 MINT release date, also see our "to end of program" listing above 201637Richard M. Nixon1969-1974 38Gerald Ford 1974-1977 Note: Ronald Reagan added to scheduled program status update. The Ronald Reagan listing is shipping as of July 2016, The US MINT release date, also see our "to end of program" listing above. 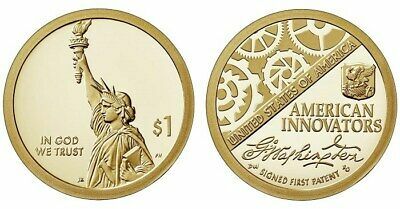 END. . . . . . https: Coin: Innovation Golden Dollar, Denomination: $1, Modified Item: Yes, Country/Region of Manufacture: United States, Certification: U.S. Mint, Strike Type: 2 Business Strikes, Mint Location: Philadelphia Denver, Year: 2018, Circulated/Uncirculated: Uncirculated, Modification Description: Combine the P&D Business strikes for a 2 coin buy. Popularity - 37 views, 1.1 views per day, 33 days on eBay. High amount of views. 1 sold, 0 available. High amount of bids. 37 views, 1.1 views per day, 33 days on eBay. High amount of views. 1 sold, 0 available. High amount of bids. Seller - 60,546+ items sold. 1% negative feedback. Great seller with very good positive feedback and over 50 ratings. 60,546+ items sold. 1% negative feedback. Great seller with very good positive feedback and over 50 ratings.